Tote box ties are a specialty type of cable tie known for its ability to be easily removed without the help of any removal tool. They are commonly used for security applications in airports and retail locations when it is necessary to prove that an item has not been opened or tampered with. 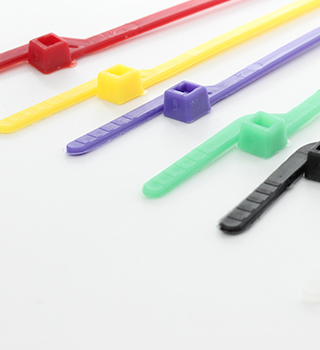 Our easy removal cable ties are available in a variety of colors to help with color coded security measures that require quick hang and release applications. If you have any questions about our removable tote box ties or any of the other cable zip ties were carry at ZipTape® Label ID Systems, please don't hesitate to contact our friendly customer service team at 1 (866) ZIPTAPE. The EZ-Off Ties come in several colors making color coding for security purposes ideal while featuring the benefit of an easy removal method.